Investor confidence has been rocked by an erosion of trust in the financial services industry. The revelations of rampant conflicts of interest within previously solid institutions combined with turbulent and uncertain economic conditions have caused investors to search for more sources of reliable information to protect their investments. Where does the smart investor turn for independent and accurate guidance? Members of the Financial Publishers Association produce information to guide investors to protect and grow their wealth. We provide thoughtful, intelligent, unbiased information so our readers can make sound investment decisions. We have a longstanding tradition of independence and independent thinking. In this time of uncertainty, we have redoubled our commitment to maintaining investor trust. To that end, we have formed an association of publishers who are committed to empower investors to make informed decisions with unbiased information that is free from conflicts of interest. FIPA is a board member of the Alliance for Investor Education. The Financial Publishers Association (FIPA) boasts some of the most respected financial newsletter publishers, editors, and marketers in the industry today. Group members share insights, opinions, and ideas that may help increase and improve revenues, new subscribers, retention rates, copy quality, product development, and potentially, total business growth. Some of the benefits of joining FIPA include our popular monthly conference calls. On these private calls members discuss critical issues, tactics, strategies, and news that’s impacting the newsletter industry on a macro level. On a micro level, members share their personal ‘best practices’, online and offline tests, and ‘lessons learned’ that you won’t hear openly discussed at other industry events. This exclusive and comprehensive ‘inside view’ allows for a free flow of communication that benefits all. FIPA members also stay abreast of the latest technologies, trends, policies, and applications that affect online business and the newsletter industry today. FIPA provides an environment that encourages business development for both marketing and editorial ventures. And it continues to be a main source of information for questions and concerns that challenge our members every day. FIPA’s website is also a valuable publisher resource with a ‘members only’ section containing links to an audio archive of past conference calls, issues and alerts, newsletter tips, newsroom and more. For more information about the benefits of FIPA membership and how it can help your business, please email elancaster@weissinc.com or fill out our sign up form on this page. 1. Distinction between investment publishers and investment advisors. do not provide investment advice that is tailored to individual circumstances of each investor. 2. Personal security transactions. Each publisher establishes company-wide rules to prohibit personal security transactions that profit at the expense of readers. Firms should have procedures in place to monitor the personal securities transactions of their employees. 3. Performance results. Each publisher should establish and publish a standard procedure for estimating performance results. The Association believes it is good practice to either publish a complete track record or disclose that investment results cited do not necessarily represent a complete performance record. 4. Privacy. Each publisher respects the privacy of readers, especially with respect to personal information provided by readers on the Internet and through e-mail. FIPA is committed to promoting a safe Internet experience for all online users, and has recently joined a new group to support the development of online safety practices. The Safe Internet Alliance' central mission is to promote a safe online experience and better educate and protect all users, especially children, teens and the elderly, from Internet corruption, crime and abuse. Read more about it here or at www.safeinternet.org. WASHINGTON, D.C.//September 3, 2008//Dallas Salisbury is the new president of the Alliance for Investor Education (AIE), a nonprofit consortium of 19 leading U.S. organizations involved in investor education. The other newly elected AIE officers are: Joy Howell, vice president; John Gannon, secretary; and Gloria Talamas, treasurer. 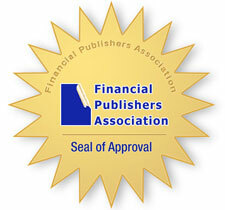 The FIPA announces guiding principles to establish uniformity among financial publishers. Combined, the members of the FIPA reach 14 million investors through their regular publications and websites. September 25, 2008 Weiss Research sent U.S. policymakers a white paper advising that the federal bailout of banks was not likely to succeed. See the white paper here. Weiss also made specific recommendations on additional actions that needed to be taken by the government to add staff to the FDIC to help speed any relief that it would provide in the event that the FDIC deposit insurance was needed by investors. October 15, 2008 Weiss Research has been quoted in an number of news articles including the Los Angeles Times, Bloomberg, the Chicago Tribune and others on the actions by regulators to stabilize the market. Links to the articles can be found at www.moneyandmarkets.com. The Toronto Globe and Mail article traced the Weiss predictions of the unfolding economic events back more than a year and can be found here.